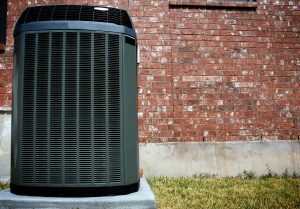 As spring turns to summer, homeowners in the area are already using their air conditioner on a daily basis. You’ve probably felt the pinch in higher monthly bills, and sadly, those high bills are likely to continue for the next few months at least. But just because you’re paying more for air conditioning doesn’t mean you should pay more than is necessary. By upgrading your system this spring – adding new features without replacing the system itself – you can enjoy enhanced savings and improved performance, as well as a few other perks. Let’s take a look at 3 great upgrades that can end up benefiting you a great deal. Zone control systems divide your ducts into individual sections, and allow you to warm or cool each section individually, separate from the others. That provides a nice luxury in that different family members can set the temperature in their specific parts of the house to suit individual tastes. But by extending that principle, you’ll see the real benefit of the system” the ability to turn off the cool air in unused portions of the house while still running it in occupied sections. That cuts down on monthly bills considerably, and reduces wear and tear on the air conditioner to help it last longer than it might otherwise. Humidity can be a frustrating problem in the summertime, and while your air conditioner can help with the issue, it’s simply not set up to do so effectively. The problem comes when there’s too much ambient moisture in the air to let the sweat evaporate off of your skin. Since that’s our bodies’ natural way of keeping cool, it will elevate your internal temperature and make things feel hotter than they actually are. The best way to lower the humidity is to lower the temperature, which air conditioners can do. But the results increase the strain on them and they can only crudely perform the function at best. A whole-house dehumidifier provides precise control over humidity levels in your home while easing the strain on your air conditioner to boot. Thermostats have the benefit of lasting a long time, and if you’ve had yours for more than a decade congratulations on getting such efficient use out of it. The one drawback to such longevity, unfortunately, is that it bypasses some exciting developments in the technology. With thermostats, that means newer “smart” models that can analyze both your cooling patterns and changing conditions in the immediate vicinity of your home, and making little adjustments to improve the system’s efficiency. The results can save you a surprising amount of money on your monthly bills, as well as reducing the stress on your air conditioner (and the risk of a breakdown). If you’ve had your thermostat for more than 10 years – even if it’s working fine – see about getting it replaced with a newer and more innovative model. If these sound like good options for your Whittier, CA home, call Greenleaf Heating & Cooling to discuss installation!